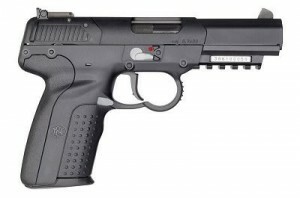 The first two models were double-action only (DAO), and while a few exist in the United states, they were never imported in large quantities for sale. In fact they were not actually commercially available, at least not in America. 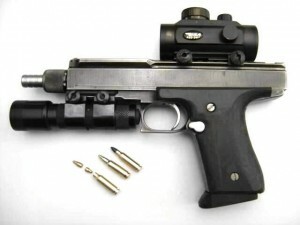 The Tactical model (not shown) featured a rail but it was not a 1913 Picatinny. 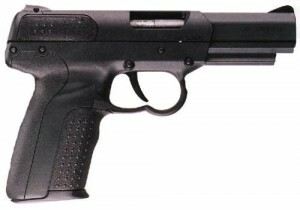 The first model to really be introduced in the USA was the IOM which was single-action with an internal hammer. The IOM has a true 1913 rail. It wasn’t until the sunset of the poorly-named Assault Weapons Ban that the handguns really sold to the population. 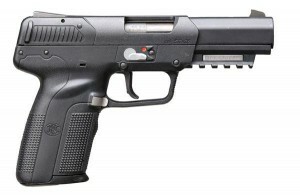 Two years later, in 2006, the Five-seveN had become a house-hold name with avid gun forum lurkers, gun store browsers, and magazine readers. Two years in and ammo was still fairly scarce, a problem we are again facing now, another six years in. The USG model quickly replaced the IOM. A limited run of USG’s was made with all black controls, instead of the standard gray, to be sold as a distributor exclusive. Some owner’s have been able to obtain replacement black controls (safety, take-down, slide catch/release, and magazine release) while others have purchases gray controls and painted or dyed them. 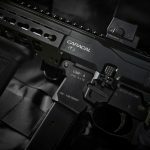 The USG differs from the IOM in it’s stippled grip gives superior traction, the rounded trigger-guard of it’s predecessors were dropped for a more traditional squared trigger-guard. Though it remained large enough for use with thick gloves. The magazine release is also capable of being swapped to the other side for left-handed shooters. 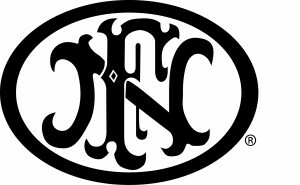 FN brochures and catalogs through the years have offered several sight options for the USG (and later color-frame models). However, the red-dot mount variant appears to always have been available by special order only. An adjustable rear sight remains standard, but a three-dot combat sight model is easily available. 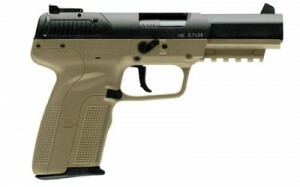 The FDE and ODG models are simply USG’s in their respective colors. 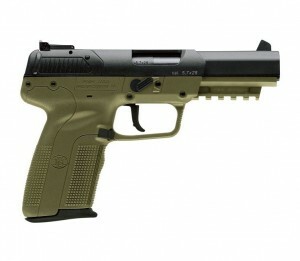 While the 2012 catalog retains the FDE and black models, the ODG is no longer listed in print or online. As always, feel free to comment any corrections below. I appreciate getting facts straightened out when I’m off. 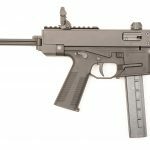 In the early days of the Five Seven Forum there .. Thanks for the correction – for our future reference do you know an official source that states the Five-seveN models? We mostly use Jane’s Guides.